Service-oriented architectures, and evolvements such as clouds, provide a promising infrastructure for future computing. They encapsulate an IP core’s functionality for easy access via well-defined business and web interfaces, and in turn allow us to flexibly realize complex software drawing on available expertise. 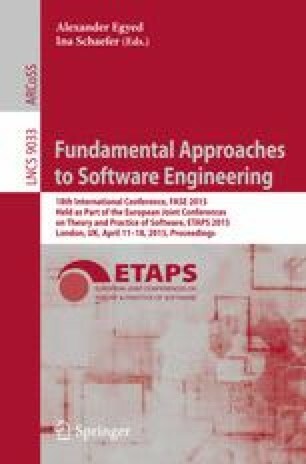 In this paper, we take a look at some challenges we have to face during the task of testing such systems for verification purposes. In particular, we delve into the task of test suite generation, and compare the performance of two corresponding algorithms. In addition, we report on experiments for a collection of BPEL processes taken from the literature, in order to identify performance trends with respect to fault coverage metrics. Our results suggest that a structural reasoning might outperform a completely random approach.